Get 20% OFF Stanley "Tylon" Tape Measures Now! The Stanley brand is recognised and trusted all over the world, a reputation that has been steadily built upon since the company was established. This excellent 5 metre tape measure features a "Tylon" anti-wear coated blade in a cushion case and offers a five full metres of tangle-free, hassle-free measuring, all wrapped up in an ergonomic case with soft grips. 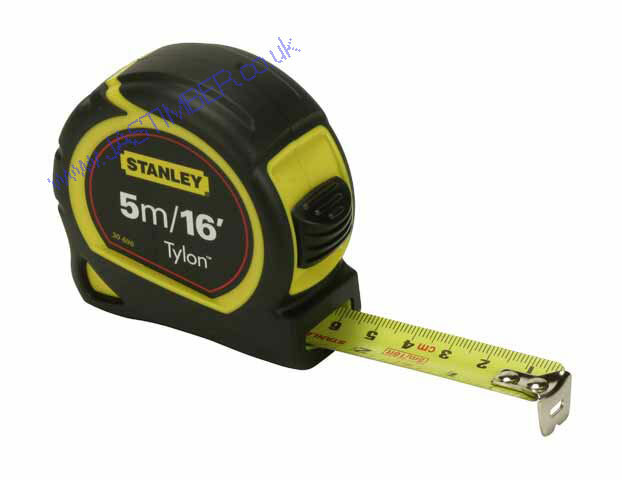 The Stanley "Tylon" Tape Measure is available to buy online now, with 20% OFF ! - See our Special Offer Tools page for more offers!